MacTheRipper has been very famous for its functionality in creating copies of your favorite DVD's by eliminating the issues with the data's region code, as well as overcoming CSS encryption problems. However, it is not so easy to download MacTheRipper online. 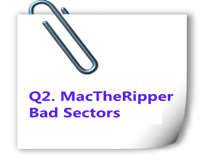 The most commonly known version is MacTheRipper 2.6.6, MacTheRipper 3.0 and MTR 4. Read on to get more details. MacTheRipper 2.6.6 is a free DVD ripping software on Mac that runs OS X 10.6 Snow Leopard or lower. It can be to download from many sites. It’s released for totally free. And this is the version that are easiest to obtain. Even MacTheRipper official site are closed, you can still get it from many software download resource sites like MacUpdate.com. There is almost no entry to download MacTheRipper 3.0 even it's offered for free. It can bypass the CSS encryption and remove DVD copy protection. The supported operating system is also limited to Mac OS X 10.6 or previous. If you have upgraded to Yosemite or El Capitan, then ignore this and try the alternatives to MacTheRipper 3.0. MacTheRipper 4 is the latest version but it is not free anymore. The good news is that MTR 4 works for Mac OS X 10.7 Lion. If you want to get MTR 4, you need to give donation to MacTheRipper team and they will send you an activation code. Note that you don’t have a chance to try this Mac The Ripper 4 before giving your “gifts”. If you are so lucky to get MacTheRipper, you may want a guide to show you how to handle this legendary Mac The Ripper. Good for you, because here it comes. Below I will take MacTheRipper 2.6.6 as an example to show you how to handle this famous program. After you successfully download it, click the .dmg file to install it.Insert DVD to your Mac DVD Drive and launch Mac the Ripper. The app could automatically detect DVD files. If Mac The Ripper displays 'DISC RCE: -CLEAR-' after scanning the DVD in the drive, you can leave the 'RCE Region' popup menu 'OFF. However, When it displays "DISC RCE: -DETECTED-", you must set the option to the region in which the DVD was purchased. Here is the information for region setting. Press "GO!" to start the video extraction. A few minutes later, you can find VOB files in the folder where you've set to save videos. 1. 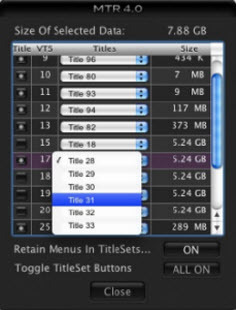 By clicking Save To in the file menu, you can set a default destination folder to save videos ripped by MacTheRipper. 2. If you want to rip DVDs from different regions, you can consider using Pioneer DVD drives for they have a region-free unlocked firmware that lets you rip and play DVDs from anywhere. 1. Full Disc Extraction: Full copy of DVD movie, which is ready to be played from the hard drive with any standard home DVD player, converted to other video formats or burned to DVD-R.
2. Main Feature Extraction: A copy of just the main features, which is ready to be played from the hard drive with any standard home DVD player, converted to other video formats or burned to DVD-R.
3. Title Set Extraction: A copy of only the selected Title Set, which might cause some playback issues depending on the DVD disc. 4. Title Only Extraction: Extract the selected title to a single video file either as a muxed VOB or the desired demuxed streams. The ripped VOB files can be played with VLC Media Player. 5. Title - Chapter Extraction: Extract the selected chapters to a single video (or optionally one file for each chapter) either as a muxed VOB or the desired demuxed streams. 6. Title - Cell Extraction: Extract the selected cell(s) to a single file (or optionally one file for each cell) either as a muxed VOB or the desired demuxed streams. When using MacTheRipper, you may find that there are some annoyance happened by chance. For example, the MacTheRipper bad sectors problem often occurs when you try to convert an old DVD movies to play on your new purchased iPad Air. Another common problem is that when you extract audio from DVD with MacTheRipper, you can't play it directly with MP3 player. On an issue like this, what can you do? Here I gather some frequently asked questions and all answers included. Of course, one-stop solution to all problems is provided, just keep reading. • Scene: When you insert a DVD disc that is out of your region, a Drive Region window will pop up, telling you the drive region and DVD disc region are not matched. And then you'll find that MacTheRipper can't read the disc and all buttons except Disc and Mode all turn grey. • Reason: Some people try to rip DVDs out of their region without changing the DVD drive region. Some people simply disable the DVD player to automatically read and play the DVD movie when the disc is inserted. In this case, your Mac won't ask you to change the DVD region. However, this usually doesn't work and even if it works, the ripped movies won't play normally, usually missing some audio or pictures. Step 1. Please insert a disc into your Mac's DVD drive and follow the window that prompts you to choose a DVD region code to set the region code for your disc. Please note that the DVD region can be changed for only 5 times. After that, it will be locked permanently. For more info about DVD region code, please refer to Unlock DVD Region. Step 2. If you have lots of DVD discs from all around the world, you'd better use a DVD ripper that can remove DVD region code automatically when ripping the DVD movies. • Scene: Sometimes you've finished ripping the DVD. However, the videos can't be played normally and some segments are missing. • Reason: The Bad sector error can be caused by various reasons. One of the possible reasons is that your DVD disc is dirty or damaged. This Bad Sector problem may also be caused by DVD protection like ARccOS protection or RipGuard protection because MacTheRipper sometimes works terribly with new ARccOS discs. • Soulution: If it's dirty, you can fix the problem by cleaning the DVD disc. If the disc is damaged or scratched, there will be some glitches on the output videos. Generally speaking, MacTheRipper 3.0 rips DVD a little better than the previous versions. But you shouldn't expect much improvement. Step 1. If there is a message asking you to "delete" or "PAD VOB", just select "PAD VOB". That's because some DVDs have bad sectors put into them to mess with making copies of them. Fortunately, MacTheRipper can pad them and rip the DVD. Step 2. In Mode windows, switch from "Full extraction" mode to "main feature" mode. This method is useful if the bad sectors are not added to the main feature of your DVD movie. • Scene: MacTheRippr allows you to extract DVD audio and save it in AC3 format, but how to extract DVD audio with MacTheRipper? Step 1. When the DVD scanning is finished, click "Mode" and switch to "Title Only Extraction", or select "Title - Chapter Extraction" if you want to extract a single audio file from the entire title. Step 2. Select the "D" button, click "Streams" and then select the AC3 track you want as below. Step 3. Go to "File" and select "Save to" to set a folder to save the converted files. Finally, click "Go" to start the audio extraction. 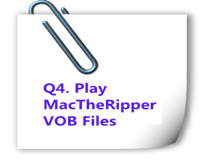 • Scene:When you finish ripping your DVD disc with MacTheRipper, you'll get lots of VOB files in a VIDEO_TS folder. How to play these files? Step 1. Open DVD player: Launch Apple DVD player and click File > Open DVD Media so as to import the ripped DVD VOB movies for playback. Step 2. Choose the Video-TS folder and now you can click Choose to start playing the MactheRipper ripped DVD movies with Apple DVD player. If you want to play the ripped movies on portable media players like iPhone, iPad, iPod, Android, PSP, Xbox 360 and more, please try Aimersoft DVD Ripper for Mac. It lets you lets you convert MacTheRipper ripped VIDEO_TS files to any popular video/audio format so you can play them virtually anywhere you like. Part 4. 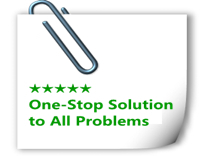 One-stop solution to all problems - Solved! If you are fed up with resolving the MacTheRipper problems one after one, why not find a one-stop solution rather than keeping bearing the patchy MacTheRipper. Below is one highly recommended MacTheRipper alternatives for you to get rid of the problem mention above with ease. 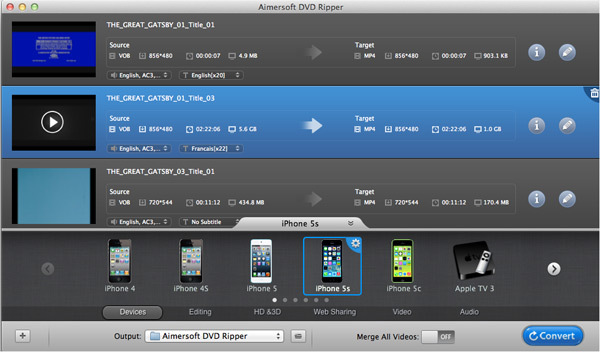 That is Aimersoft DVD Ripper for Mac - the combination of MacTheRipper Lion, MacTheRipper Mountain Lion and MacTheRipper Mavericks. 3,290,589 people have downloaded it. You can download the free trial version of Aimersoft DVD Ripper for Mac from the download link above. It is a professional app for converting DVD files to other video formats on Mac OS X (10.8 Mountain Lion and 10.9 Mavericks). Launch the program and you can add VOB files copy from DVD disc, IFO files and ISO files to the software. Batch conversion is supported so you can add more than one file at a time to enjoy the fast conversion speed. Tips: If you select one of Apple Devices as the output format, the output files could be added to iTunes automatically. Click the Start button to accomplish the video conversion. In a second, it is done. Then you can enjoy the videos on the go freely. I used MacTheRipper for a while but it doesn't seem like it works very well compared to the screenshots of your software. I especially like the fact that your software can output into MKV, which seems like the best way to rip DVD with this MacTheRipper alternative. Going to download your software and give it a shot.